The nation’s number two telco Optus yesterday again refused to disclose what the outcome of any ongoing discussions with the National Broadband Network Company might be — or when it might commence a trial of retail services with the company. The SingTel subsidiary was reported last month to be in talks with NBN Co to scrap its HFC network, transfer its customers onto the NBN as it is rolled out and contribute network assets to the growing broadband company — in a deal that would mimic Telstra’s $11 billion heads of agreement with NBN Co signed in June. Telstra continues to give shareholders and customers sporadic updates on its incomplete talks with NBN Co — but yesterday, a cluster of senior Optus executives declined to do the same. Optus chief executive Paul O’Sullivan said his company was discussing a range of issues with NBN Co and hadn’t yet made any significant disclosure or comment on the talks. 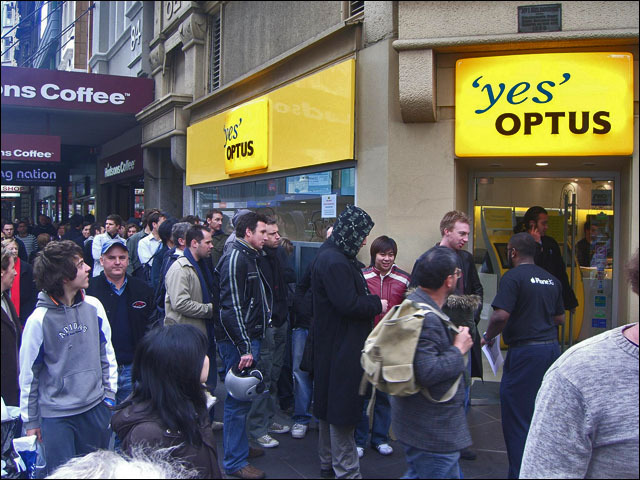 “You’ll be pleased to hear that we’ve always discussed business in private,” he said, speaking at Optus’ regular financial results briefing session. The telco’s director of Government and Corporate Affairs Maha Krisnapillai echoed O’Sullivan’s comments, saying the company was involved in discussing “a whole raft of issues” with NBN Co — including aiding in product definitions. “A lot of those will take six months,” he said. Despite the potential for the HFC network to be shut down, Optus will place a renewed focus on the network over the next while, aiming to capitalise on its introduction of higher speeds through the DOCSIS 3.0 technology. Optus was also reticent on another key issue with relation to the NBN. The telco — along with rival TPG — is one of the only major Australian broadband providers not to have yet signed up to run an NBN trial in early stage rollout areas in Tasmania — while others such as Telstra, iiNet, Internode and Exetel have already jumped in to test the waters. Krisnapillai said Optus had taken a decision to wait and see how the NBN situation would play out — although it would “continue to work very closely” with the company in terms of the broader rollout, especially as it hit the mainland. He noted Optus also had some wholesale partners and operating in Tasmania, and so it wasn’t completely in the dark about the rollout. Without pits and underground ducts, does Optus really have much to sell? If post NBN retail is not competitive with Optus HFC prices, punters will not be happy. On those terms, no – they don’t have a lot. NBN Co would have to be more interested in the possible backhaul capacity they can provide, and taking on Optus customers. Both Telstra and Optus would love to drop the HFC networks – (expensive to maintain) – and let someone else worry about the haulage around the countryside. But as a wholesaler, NBN does not have an immediate interest in customers. It’s up to the RSPs to woo Optus customers.